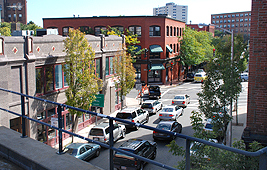 The Community Development Block Grant (CDBG) program provides annual grants on a formula basis to entitled cities and counties to develop viable urban communities by providing decent housing and a suitable living environment, and by expanding economic opportunities, principally for low and moderate income persons. The program is authorized under Title 1 of the Housing and Community Development Act of 1974, Public Law 93-383, as amended; 42 U.S.C.-5301 et seq. The Department of Housing and Urban Development (HUD) awards grants to entitlement community grantees to carry out a wide range of community development activities directed toward revitalizing neighborhoods, economic development, and providing improved community facilities and services. Entitlement communities develop their own programs and funding priorities. However, grantees must give maximum feasible priority to activities which benefit low- and moderate-income persons. A grantee may also carry out activities which aid in the prevention or elimination of slums or blight. Additionally, grantees may fund activities when the grantee certifies that the activities meet other community development needs having a particular urgency because existing conditions pose a serious and immediate threat to the health or welfare of the community where other financial resources are not available to meet such needs. CDBG funds may not be used for activities which do not meet these broad national objectives. Construction of new housing by units of general local government. 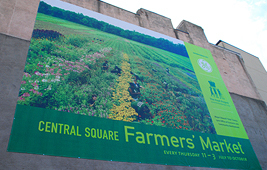 Lynn's Central Square Farmer's Market is a collaboration between The Food Project and the Lynn Office of Economic and Community Development. The Lynn Farmers’ Market is a leader in the state, making fresh, healthy food available to the community at an affordable price. This market has experienced the highest level of Food Stamp sales and the second highest level of WIC Farmers’ Market Coupon sales in the state of Massachusetts. The 2014 Entitlements Program presentation as presented by the City Mayor and the OCD. The Department of Community Development is responsible for obtaining and administering federal and state funds for a wide array of development initiatives, community facility projects and public service activities. 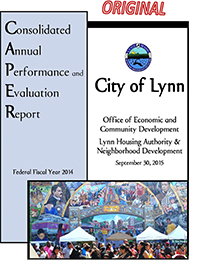 Our FY'15 Action Plan is available below. Our Draft FY'14 Action Plan is available below. The Citizen's Advisory Board facilitates active participation by citizens throughout the City of Lynn. Visit our Citizen's Advisory webpage to read more about the Advisory Board, its services, responsibilities, meetings and more. For additional information on the CDBG program please contact our office.